Dress to the nines at your BFF's special day (all while looking super graceful) with Rajnikanth Creations' sarees. Between helping your friend with picking out the perfect outfit and curating her bridal trousseau, you might just forget to set some time aside to choose your own bridesmaid look. And if you're panicking and looking for a last minute saree purchase that's also easy on the pocket, look no further. Rajnikanth Creations in Chickpet will sort you out with their lovely saree collection, starting from INR 1,400! Expect to receive royal treatment as soon as you walk in - enthu staff members will immediately come greet you and show you around! We found some beautiful sarees, each more elegant than the other, so you really will stand out at the wedding. 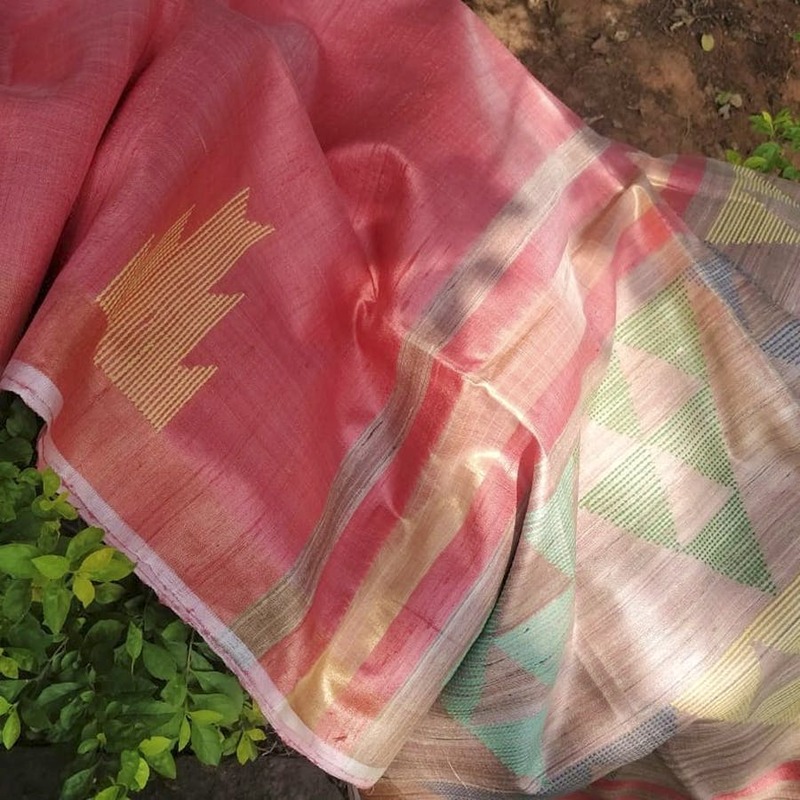 Look for statement pieces like their lime yellow gheecha tussar saree (INR 3,300), pochampally cotton sarees with colourful ghamcha checks (INR 1,470) and monochrome kota silk sarees with little black and white flowers embroidered on them (INR 2,620). You'll also find oh-so-gorgeous and soft as a cloud sarees in bandhani, cotton, chanderi and patola fabrics. Plus, each saree comes with its own matching blouse piece, and it's inclusive of the total price. What's more, you can order from their Instagram store and they will deliver the saree to your doorstep. If you're ordering online, make sure to reach out to their Facebook or Instagram handles and DM them your specifications. Delivery takes about 3-4 days within the city. The shop doesn't have an in-house tailor, but they can always refer you to one.